Matisoft Cyber Security Labs is one of the first companies in the world to build a patent-pending AI-based cyber antivirus software. The main premise of their technology is to make the software think like a human cyber security expert. The technology replicates the brain of a human cyber security expert & combines it with the computing capacity of the device to make a truly smart engine that intelligently protects the device against virus attacks. This combination is equivalent to several experts themselves monitoring & protecting the computer and provides paramount protection against all types of viruses without the need for any updates. (c) extremely fast and suitable for Internet of things. Their technology is among the very few antiviruses in the world to catch the recent Wannacry virus without the need for any updates. innovative surface coating products for engineering & biomedical applications. The company is currently developing specialized biomedical coatings for achieving superior component and device performances. Wissenkraft Labs is founded by Dr. Chinmay Khare, a NIDHI-EIR Fellow at Venture Center. XGro is a young start up founded in 2017 with an aim to expand the scope of Precision Farming in India. With expertise in farming technologies like Aeroponics, hydroponics and vertical farming, Xgro provides modular systems with applications in commercial farming. Their first product, XGrass is a fodder cultivation system for animal husbandry with applications in Dairy farming. The future product pipelines include XGreen which is a modular leafy greens production unit for commercial farming. Xgro is jointly incubated at SIIC, IIT-Kanpur and Venture Center, and they have received grants and support from the Department of Science and Technology and BIRAC for research purposes. Xgro is founded by Ms. Kavita Ray, who is a NIDHI EIR Fellow at Venture Center. Intignus Biotech is a biotechnology company that is focused on discovering and developing diagnostic tests for rapid, low-cost, and early detection of human diseases. Their special focus area is maternal and child health care and the timely detection of pregnancy-related disorders. They are currently working on an early screening device for preeclampsia. Intignus was founded by Vaishnavi Kulkarni, a NIDHI EIR Fellow at Venture Center. Learning, Concept Designing, Idea formation. In addition to this, it supports research for developing AI algorithms. Cyca Oncosolutions was co-founded by Dr Nusrat Sanghamitra and Valmiki Kempadoo, and has joint operations in Cork, Ireland. 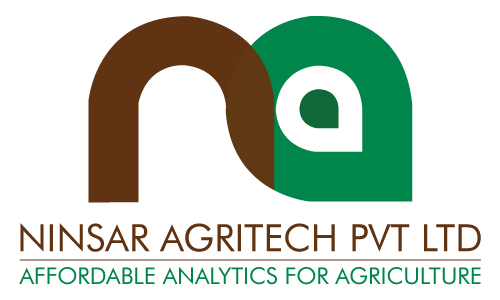 Ninsar Agritech aims to develop technologically advanced, sustainable and diverse solutions for farmers, thereby improving farm productivity. They are currently focused on providing an accurate and timely soil testing service to the farmers, based on which they make crop-specific fertilizer recommendations. They are also in the process of developing a handheld soil testing device, which will provide on-the-spot soil health data to the farmer. 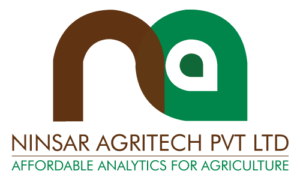 Ninsar Agritech Pvt. Ltd. has been co-founded by Dr. Vikram Shete, Dr. Rasika Shete and Dr. Gayatri Gurjar. Vikram is a NIDHI EIR Fellow at Venture Center. Plezmo was cofounded by Amol Palshikar and Girish Mujumdar. Fastsense Diagnostics is focused on developing low-cost high efficiency diagnostics devices for complex diseases such as cancer. Their current focus is to develop a hand-held portable electrochemical diagnostic/screening system for liver cancer. Cancer is a complex disease and there is no portable system is available for primary screening or monitoring. The proposed device will be critical in primary screening and monitoring of liver cancer in remote areas or resource-poor regions where even basic heath care facilities are not available. FastSense Diagnostics was founded by Dr. Preeti Joshi. 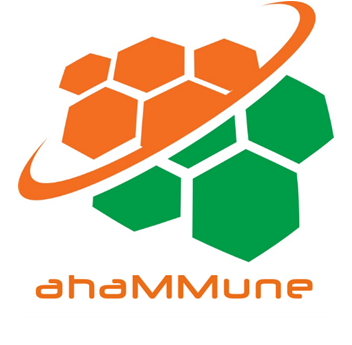 The team has basic expertise in nanotechnology, electrochemistry, biomedical devices and electronics. Divish Mobility was formed in 2018 with a vision of fostering mass adoption of electric mobility in India. They currently offer 2W electric vehicle (EV) users a charged-battery-as-a-service that is enabled by their (patent pending) battery charging hardware technology and an IoT ecosystem. Their battery charging hardware consists of an Internet-connected battery swap station made for India. The swap station is agnostic to battery type and can be monitored and updated remotely. Their hardware and IoT ecosystem combined with a unique retailing model will significantly accelerate the adoption of EVs by reducing the total cost of ownership and provide the convenience and robustness of a petrol pump model. Divish Mobility was founded by Ashwin Shankar, NIDHI EIR fellow at Venture Center. CQuest BioSolutions was formed in 2017 with a focus on improving the quality of life and mitigating the effects of urbanization and pollution, which can lead to cognitive issues, sleep deprivation, respiratory illness and poor quality of life. CQuest BioSolutions aims to tackle this grave problem through two different innovative products. The first product is OLiv, an indoor air regeneration system that works on the principle of natural, biological removal of air pollutants and conversion of excess carbon dioxide to oxygen. One small OLiv device is equivalent to having 13 indoor plants, making it far more effective than conventional air purifiers, which only remove particulate matter from polluted air. The second product is an integrated air quality and pollution monitoring system and mobile app. The air sensors available in the market today only detect a few pollutants, are difficult to use and have dubious accuracy. The innovative sensor device tracks all the important air pollutants and via an easy to use mobile app, gives accurate, reliable data regarding their concentrations, ill effects and related health advisory information. The device is completely customizable in terms of functionality and the app will present highly personalized data. Both the products are undergoing real world testing and will be market ready by early 2019. Solitarius Biologicals is working towards development of biologicals such as diagnostic tests and vaccines using novel as well as established technologies. Currently, the company is involved in the development of BIRAC funded anti-chikungunya-IgM diagnostic kit. In future, it looks forward to emerging as a quality research and manufacturing company in the field of diagnosis kits and vaccine development. 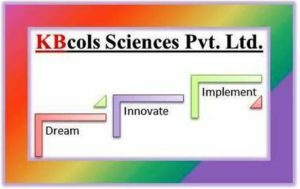 KBCols Sciences is a technology driven startup in the field of Bioprocess Technology working on industrially important pigments and bioactive compounds. They are currently focused on demonstrating proof of concept for an environment friendly, novel color extraction and dyeing process for producing and applying six microbe-derived colors to three types of fabric (cotton, silk, and wool). 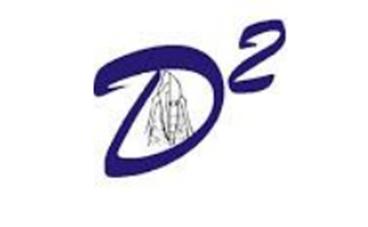 The company is founded and run by Dr. Vaishali M. Kulkarni and ably assisted by Dr. Arjun Singh Bajwa (Alumni of ICT Mumbai). The startup has already received numerous International and national awards for its innovative approach including BEST ABLE 2015, DST-Lockheed Martin India Innovation Growth Programme 2016 , Axis Moves 2017 etc. MediAsha Technologies is a healthcare startup focusing on solving unmet needs and bringing forth novel medical devices. The company has developed its first product ‘InstaSplint’, a first-aid device that immobilizes a fractured limb until the person is taken to the hospital. The splint helps in providing rest to the injured area, preventing further displacement of bone fragments and thus protecting the underlying vessels and nerves from the fracture fragments. MediAsha is a recepient of BIRAC’s Biotechnology Ignition Grant among other awards. MediAsha was founded in February 2018 by Mr. Mayur Sanas who is currently pursuing his PhD from the College of Engineering Pune. Abel Biosolutions, formed in August 2010, is a vaccine and bioprocess industry solution provider, and is currently focused on development of preventive & therapeutic health care vaccines and biologics. The major research focus areas are latest generation vaccines and designer biologics for various human and animal infectious diseases caused by bacterial and viral pathogens. ABEL BioSolutions is also targeting a vast market that is emerging as a result of the withdrawal of harmful chemicals and antibiotics in animal agriculture by developing antibiotic replacement therapies. Kozhnosys is a start-up involved in the development of biomedical devices with the aim of building cost-effective and easy to use medical diagnostic devices using cutting-edge technology. Currently they are developing a routine screening device for cancer. The company is working towards demonstrating proof of concept for a novel molecular-imprinted polymer coated quartz crystal microbalance sensor for rapid breath based routine screening for breast cancer, by identifying elevated concentration of volatile markers in exhaled breath. In-Med Prognostics brings affordable, accessible, reliable, and data-driven brain health prognostics and diagnostics tools to India and other emerging markets. Their proprietary software, Neuroshield™ integrates MRI images, clinical reports and psychological assessments to produce automated, quantified reports to support the physician’s clinical impression for various neurological disorders and provides a seamless, end-to-end cloud based image analysis platform for clinical and research use. Leveraging state-of-the-art data analytics and deep learning methodologies, they are developing a biomarker algorithm for various neurological disorders starting with paediatric epilepsy and dementia. Currently, they offer segmentation services and comparative volumetric analysis reports to clinical end-users and research support for clinical imaging based projects for pharma and life sciences customers. Their aim is to build an Indian databank for neurological disorders consisting of complete clinical data including radiology. In-Med was founded by Rajesh Purushottam, Dr. Latha Poonamallee & Dr. Al Curran. (a) Rotary Endodontic file in basket form to be used in root canal treatment of teeth. (c) Healer: A software that may be combined with hardware to help keep track of disease and prescriptions. The primary aim is to be able to register the incidence of disease pattern and the pattern of drug use geographically. The software can be particularly useful to government agencies in regulating the indiscriminate use of antibiotics and obtaining live data for monitoring the prevalence of disease in a particular area. (d) Dental Services: DZeal also plans to providing evidence-based dental treatment at affordable rates. They are currently working from one location in Mumbai, and hope to expand their network in the near future. Helios IoT Systems is developing an Integrated Platform for Solar Energy Management, that is suitable for all segments of solar energy – Mini Grids, Roof Tops as wells as solar farm. The platform will provide features such as real-time data monitoring, KPI dashboards and monitoring, asset & financial management, preventive and correcting maintenance support. Vidcare Innovations is a startup trying to re-invent how diagnostics are performed by employing microfluidic principles, to develop an equipment-free, over the counter, quantitative immunoassay testing platform technology. The company, in the long run, envisions to empower people to diagnose for various medical conditions at home, with similar easy to use, rapid diagnostic products. Currently, the company is focused on solutions for maternal and child health, with the first offering being a TSH test for screening of hypothyroidism during pregnancy. Vidcare Innovations was founded in 2017 by Rohan Aggarwal, who holds a B.Tech in Biotechnology from Indian Institute of Technology Roorkee. REVY provides solutions in the field of waste management by improvising the conventional bio-methanation process and producing bio-hydrogen from wastes. The company has developed an innovative technology for the production of Anaerobic Granulated Sludge in a cost effective manner. This solution will help in faster start up and shock load treatment for high rate Anaerobic reactors. Biogas production from vegetable market waste and Kitchen waste is another focus area of REVY. REVY also provides bio-cultures to enhance the performance of the biological treatment unit of Effluent Treatment Plants (ETPs) for industrial waste containing high amounts of phenol and TDS. The company has the capability to provide treatability protocols for waste water from dairies, distilleries, pharmaceuticals, and fertilizer industries, in addition to complex effluents from Paper mills, Dye and Dye Intermediates, Petrochemicals industries by employing and adopting pre-treatment, advanced anaerobic, aerobic and tertiary treatment methods. Shapecrunch is aiming to reinvent custom foot products with 3D Printing & Shapecrunch‘s Mobile app. It makes 3D models of foot orthotics from photos of feet using computer vision & machine learning. The mobile app eliminates the need for a scanner for doctors and the 3D printing technology lowers the cost, thereby saving time, money, effort and providing consistent quality. The same technology can be used for making prosthetics and even custom footwear too. The technology is being used by 25 clinics in India. Shapecrunch is seed funded, and has been accepted for a SPARSH BIRAC grant. 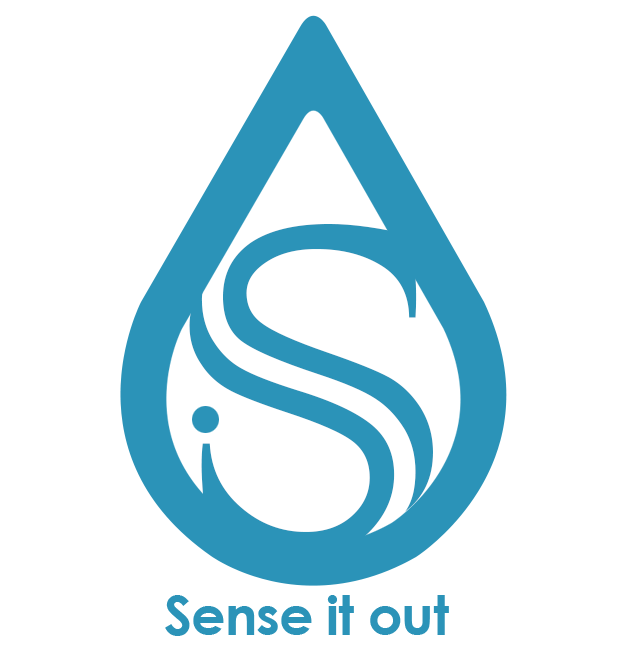 Ayaas Consultancy Services is an Engineering Design Analysis Consultancy Company, offering Computer Aided Engineering solutions in the areas of Structural, Thermal, Contact, Vibration, Fluid flow and Mechanism analyses techniques. They also undertake turnkey projects for special product development. Ayaas specialises in the areas of Engineering Design, Analysis, Product Development & Conversion – Modelling. The Indian Polyurethane Association (IPUA) set up an IPUA Technical Center in May 2016 to provide technical services and resources to industry members. 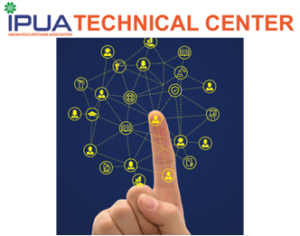 This virtual center offers various services through a web-based platform, and helps industry members in getting access to testing laboratories, technical experts, test standards as per their requirements. It also provides various resources such as a repository of physical and digital libraries for references, information related to safety-health-environment (SHE), technical newsletters and project reports etc. 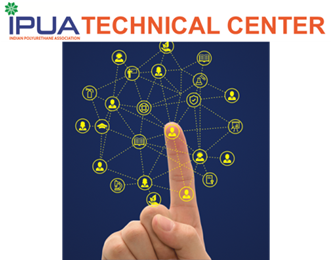 The Technical Center also supports IPUA in spreading awareness and promoting usage of polyurethane while upholding the safety, quality and skill development through various training programs and workshops arranged across the regions. It also acts as a bridge between industry and academia to facilitate industry-academia collaborations. affected the life of millions of people. They are currently developing new chemical/molecular entities (NCE/NME’s) for stalling the spread of depigmentation in Vitiligo. Sense it Out Intelligent Solutions is an Agri-Tech startup with a vision to make technology affordable for farmers and maximize the crop yield. 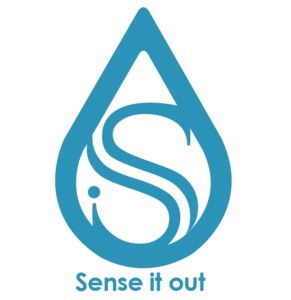 Sense it Out’s product SICCA (Sensor-based Intelligent Crop Centric Automation) maximizes yield by optimizing the use of water and fertilizers. It is a wireless sensor-based IoT product which automates the Irrigation (Phase-I) & Fertigation (Phase-II) system using agri-research know-how. The Machine Learning algorithms help make intelligent decision-making and thus making the solution crop and farm centric. More info can be found at www.senseitout.com and can be reached on email at info@senseitout.com. Eyedentify is an automotive IoT solutions start-up aimed at ensuring in-vehicle security for drivers and commuters via intelligent features designed to deter offenders and alert authorities in real-time in case of an incident. The fully customizable system has telecommunication modules and is integrated with panic buttons and a camera, along with microphones and speakers, which enable the passenger or driver to get help when they need it most. If an accident occurs, like a collision or sudden jolt to the vehicle, connection to the control centre for help is automatically established. Similarly, in the case of an incident, the system can be triggered by pressing any of the panic buttons, or even by loud noises being detected in the vehicle. At this point, two-way voice communication will be established and video from the vehicle transmitted to the control centre, to validate the situation and dispatch the appropriate help. Throughout this process, the vehicle will continue to transmit its geographical location in real-time. In a situation where cellular connection is not available, the system uses long distance radio signals to send alerts to nearby Eyedentify devices. Their aim is to accelerate the adoption of various renewable technologies across the world to conserve our environment. Sys3E Technologies is working with a vision to improve lives, protect the environment, and restore ecology with renewable energy innovation. Their product, SunCaptor aims to lower the cost of energy and address the problem of diminishing margins of solar PV installers by increasing land utilization, reducing installation time & ensuring minimal Operations & Maintenance. SunCaptor is the world’s first solar PV tracker to achieve dual axis motion using a single actuator. It is optimized to give highest power gain with both mono-facial and bi-facial panels at all latitudes. Owing to Sys3E’s innovations, SunCaptor is affordable not only on a utility scale (MWs) but also on a distribution scale (KWs). The startup is co-founded by IIT/NIT alumnus, Dr. Sudhir Muthyala, Mr. Sahil Kala, Dr. Shilowbhadra Banerjee and Dr. Rajarshi Banerjee. Pixy Electric Cars Pvt Ltd. They have developed an “Electric Conversion Kit” to convert conventional cars to run on electric power by replacing their engine. The first application of their technology was on the Maruti Gypsy model, which is used for conducting wild life safaris. Due to the operating conditions prevailing in the forest, these cars consume exceptionally high quantity of fuel, resulting in high levels of pollution in eco-sensitive locations. By converting such cars so that they can run on electricity, both the cost of fuel as well as pollution is reduced. Early wound assessment and management is very crucial with the rise in Skin and Soft Tissue Infections (SSTI), ranging from diabetic foot ulcers, surgical site infections, burns, dermatology skin infections etc. Although it was estimated that an ankle is lost to diabetes somewhere in the world every 30 seconds, a more important fact is that up to 85% of all amputations in diabetes should be preventable. Conventional methods of SSTI monitoring are very ineffective. The problem is further compounded in low resource settings due to lack of quality infrastructure. Adiuvo Diagnostics is developing a non-invasive, portable Skin-Scope device to detect, classify major clinically relevant bacteria and fungus causing the infections in real time, and also access the rate of healing within 2 minutes. This will aid the doctors with early and right treatment protocol. Since their incorporation in October 2015, one of IBPL’s major research activity has been the fermentation of the bacterium – Haemophilus influenzae B (HIB) – for production of extracellular polysaccharide, which is a major constituent of vaccines such as meningococcal vaccine. They have also been working on two separate projects: The first is a project offered by Dhampur Sugar Mills on membrane cell recycle continuous fermentation of dilute molasses to ethanol. This work is now nearing completion, and is expected to have an impact on minimizing the effluent of molasses fermentation, which is a priority for improving pollution control in the alcohol distillation industry. In October 2016, they were also granted a project by SBIRI (BIRAC) for work on the Human Papilloma Virus vaccine using a recombinant yeast for production of Virus like particles (VLPs) that can be used in the manufacture of the quadrivalent vaccine against HPV. This is a dire need of the country as more than 270 million adolescent women/girls are at risk of cervical cancer against which the vaccine works. 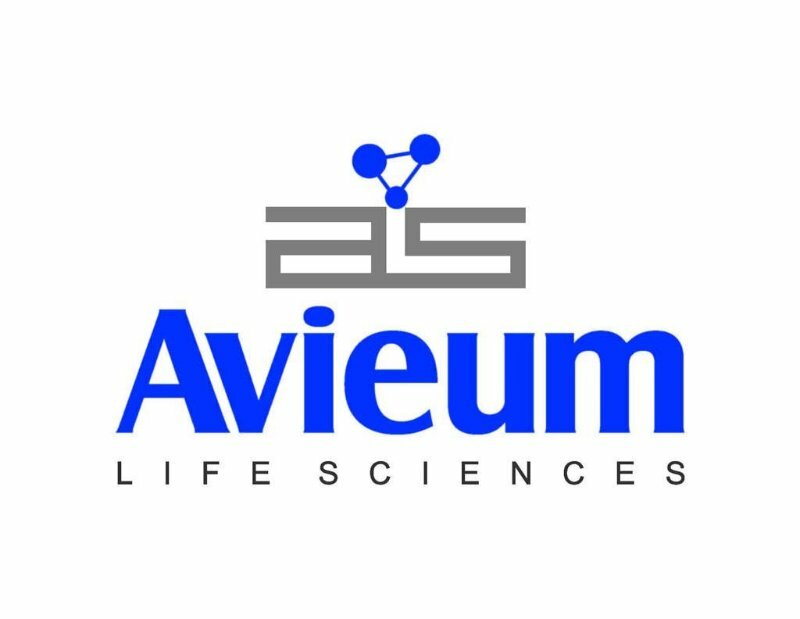 Sarvoshadhi Biotech Pvt. Ltd. is working in the field of Biotechnology/Life Sciences. It works on developing and supplying cell culture media, feeds and other reagents to Biotechnology and Pharmaceutical Industries thereby supporting them in successful development and commercialization of human therapeutics. BioPrime AgriSolutions Pvt Ltd is using its pioneering, innovative research & products in the areas of agriculture, horticulture & floriculture. Specifically, they are working on developing technologically advanced, affordable, better products for soil, crop & water management to the farmers, regardless of their farmland size. The company has been awarded the prestigious Biotechnology Ignition Grant (BIG) from BIRAAC, DBT for developing new solutions in plant breeding. BioPrime’spatented“organo-nano-regulator technology” uses agriculture biologicals to activate/regulate/modulate certain novel targets in plant or pest physiology. Their products combine the precision and rapid action obtained by synthetic/chemical inputs with the goodness of organic products. Their products are aligned with their vision of 100% organic, zero pesticide and zero residue farming. 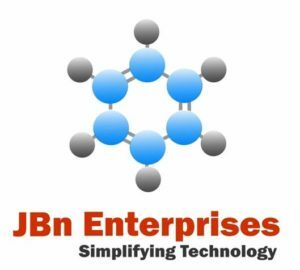 They manufacture and supply a wide range of cost-effective bio/chemical process equipments and provide consultation to a wide spectrum of industries such as pharma, food, biotechnology, and membrane R&D/process. Their various services include in-house process/product design, original equipment manufacturing, plant services, process consultation, on-site work, and AMC (Annual Maintenance Contract). OmiX Labs is developing a platform for cost-effective testing for genetic fingerprint of organisms in clinical and non-clinical samples, outside of laboratory settings. While DNA testing is routinely done in specialized laboratories, this device aims to make the test available at home, in clinics and in diagnostic labs. a.Clinical Diagnostics – testing and treatment monitoring of infectious diseases such as malaria, TB, pneumonia, typhoid, sepsis, hepatitis, HIV and antimicrobial resistance. b.Food Pathogen Testing – Detection of pathogens in milk, meat products and other foods. c.Water and Environmental Testing – Detection of bacteria in environmental samples. They are working towards developing a ready-to-use biosurfactant-based formulation, that can successfully aid all household consumers to decontaminate and sanitize their fruits and vegetables before consumption. This unique 100% organic formulation removes 99% of pesticides, chemicals, toxins, pathogens, germs and other lethal substances. Washing of fruits and vegetables in this formulation has been shown to curtail the shrinking of produce and double the shelf life of products even without refrigeration, which can have a huge market in the rural sector, where the over 70 million households have poor access or no access to electricity. The unique selling point of their formulation is that it is odorless, tasteless, non oily, non-sticky, retains natural taste and does not require a rewash step in plain water, which not only helps save water but also simplifies the cleaning process for large-scale cleaning operations at distribution and export centers. This product finds application with farmers for exporting their produce free of any chemicals and pesticides and avoid rejection, at hotels, community centers, consumers etc. Dee Dee Labs Pvt Ltd, founded in 2016, is a R&D startup company working in the healthcare domain. They are currently working on a non-invasive multigrasp myoelectric prosthetic arm for transradial amputee population in India and the Indian subcontinent. Their bionic arm technology platform is designed to restore anatomical function, lost by amputation, by using intelligent hardware and algorithms that can respond in a human-like way. Swasti has patented, non toxic, biotechnology products, which empower farmers to mitigate risk caused by crop diseases. They have develop preventive “vaccines” for plants. Swasti’s three pronged program “BioAvert I” gives preventive solutions in the form of blocking pathogen entry, increasing beneficial microbes and stimulating plant defense mechanism. The “HiFarm” services provide advice based on – Hyper spectral imaging, Field analysis techniques, root zone analysis and microscopy. 20 – 40% increase in the yield. Reduction in costs (15 – 35%). 10 – 100 Times ROI. Products have been commercialized on over 10,000 acres over 3 years. WeInnovate Biosolutions Pvt. Ltd is startup whose mission is to develop affordable and rapid healthcare-therapeutic solutions. Currently, they are developing a formulation for accelerated healing of critical wounds. “HealRap” is their novel product for healing of diabetic foot ulcers. They are also involved in development of diagnostic solutions for antimicrobial susceptibility testing within 1 hour. Their mentors include medical doctors, business strategists, pre-clinical and clinical studies advisors, product building experts. Tarana Wireless is a USA based company that offers wireless alternative to fiber for residential and enterprise access in both urban and rural areas. The company plans to set up a R&D center in Pune to work on the next generation of their technology which will provide high speed broadband to homes and businesses using non-line-of-sight wireless links in urban areas as well as remote rural areas in India. Econirmitee Infrastructure & Services Pvt. Ltd.
Econirmitee offers sustainable solutions towards waste management at door step by scientifically recycling waste and make their client campuses and customer homes zero garbage generation spaces. The focus areas for waste management includes construction & demolition waste, floral waste, organic waste, landfill gas and carbon emissions from industries. 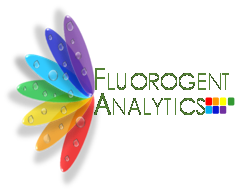 Fluorogent is a spin-off based on NCL’s technology created under Venture Center’s “Lab2Mkt” program. 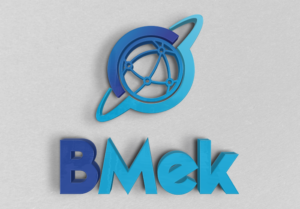 The company wishes to develop fluorescence-based reagents and diagnostic kit useful for quantitative detection of biomarkers such as cysteine and homocysteine, and glutathione (GSH), which play essential roles for regulating the redox balance of many biological processes. Cysteine is a metabolic product of homocysteine and a precursor of the antioxidant GSH. A deficiency of cysteine leads to diseases such as decreased hematopoiesis (creation of new blood cells), leukocyte loss, psoriasis, slowed growth, liver damage, skin lesions, hair depigmentation, edema, and so on. Elevated levels of homocysterine have been recognized as an independent risk factor for cardiovascular disease. This is also associated with various diseases or clinical conditions, which include Alzheimer’s disease, schizophrenia, end-stage renal disease, osteoporosis, and type II diabetes. To elucidate the complicated relationship between Cys, Hcy, and GSH and investigate the function of each biothiol in various physiological processes, the simultaneous quantitative detection of these three biothiols is very necessary. 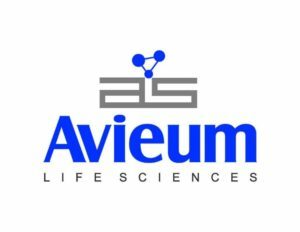 Avieum Life Sciences aims to develop novel inhibitors of Pseudomonas aeruginosa using Fragment based drug discovery approach and by using siderophores as drug delivery agents. The company also supports global pharmaceutical R&D organizations to accelerate their drug discovery research. With a proven expertise in synthetic and medicinal chemistry, pre-clinical drug discovery and fragment based drug discovery, the company offer services to support drug discovery from hit identification to lead optimization, custom synthesis, impurity synthesis, reference standards, route scouting and process development. 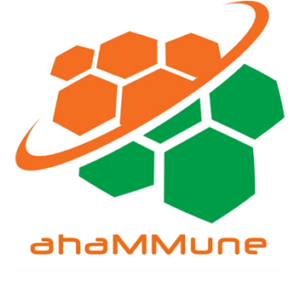 The company is founded by Dr. Ramesh Kale who did his PhD in Synthetic Organic Chemistry from CSIR-NCL and has 12 years of experience in synthetic and medicinal chemistry, drug discovery and pathogen detection. 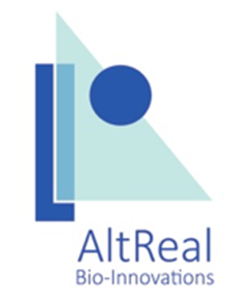 Altreal Bioinnovation Pvt Ltd is a spin-off based on CSIR-NCL’s capabilities and created under Lab2Mkt program of Venture Center. The aim of the startup is to develop affordable prostheses for rehabilitation for the Indian healthcare mass market. They are developing explant prosthetics such as nose , ear and eye based on silicone. 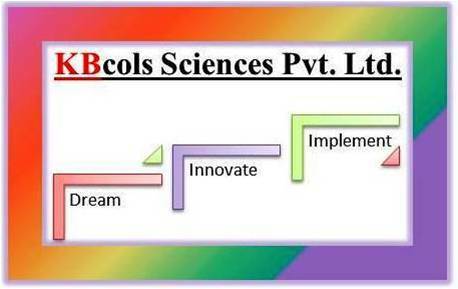 The company is a recipient of “Biotechnology Ignition Grant” of DBT-BIRAC, GoI.